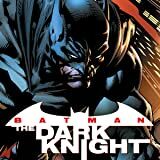 Once again battling evil with his son Damian Wayne, a.k.a. 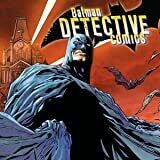 Robin, at his side, Batman will soon realize that the hardest part of the job may now be trying to work together with his own flesh and blood! 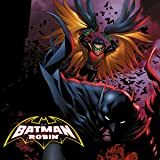 Peter J. Tomasi and Patrick Gleason's #1 New York Times bestseller Batman and Robin is collected anew as part of the DC Essentials collection, featuring brand new cover art from Patrick Gleason! 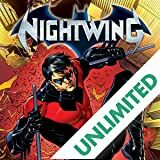 As Batman and Robin try to adjust to their new partnership, a figure emerges from Bruce Wayne's past--one not happy that Batman Incorporated is shining a light on his own shadowy war against evil. 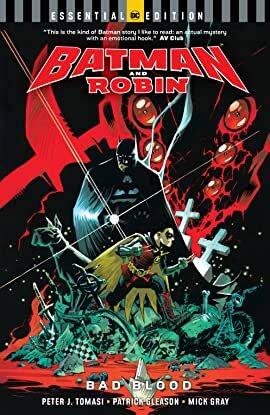 At the same time, the son of Batman must prove to his father as well as the previous mantle-holders that he is worthy of the honor to be called Robin! 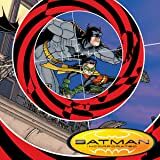 Collects Batman and Robin #1-8.